Last modified on October 8th, 2014 by Joe. 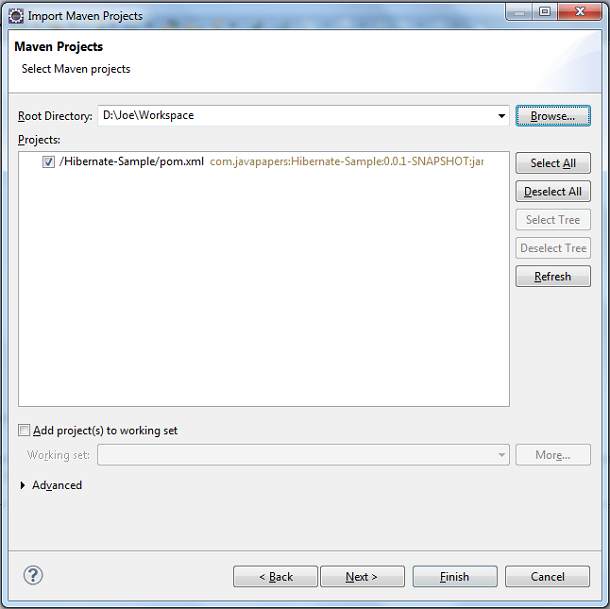 This is a quick tip to help import a Maven project into Eclipse IDE. To learn Maven quickly check the Maven in 10 minutes tutorial. Download project source code and unzip it into a folder location. Lets assume that we have the Maven project on D:\Joe\Workspace. From Eclipse, Project Explorer -> Right click -> Select Import Menu and Import. And click Existing Maven Projects. Click next, Eclipse will recognize the Maven project and it will show you a list of all possible Maven projects located there. Just select the project and click next. Eclipse will show you a Maven Build message. Just click finish. 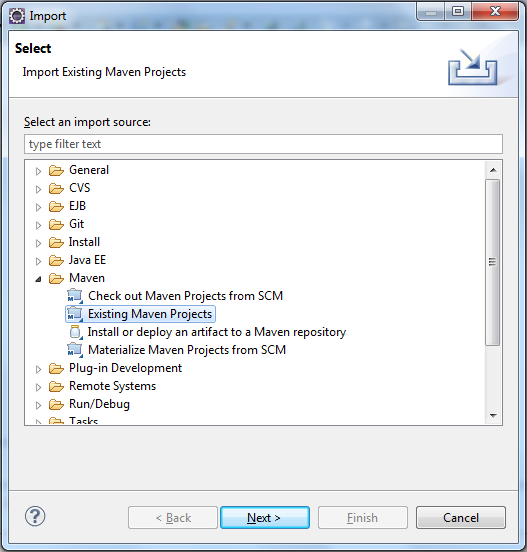 The Maven project is successfully imported into Eclipse IDE. Comments on "Import Maven Project Into Eclipse"
Comments are closed for "Import Maven Project Into Eclipse".